I’m sure you’ve heard everyone talking about the new Disney FROZEN movie, and for a good reason too. I took Evan and Audrey to see the movie a couple weeks ago, and we all LOVED it! I laughed… I cried… no really, I did. 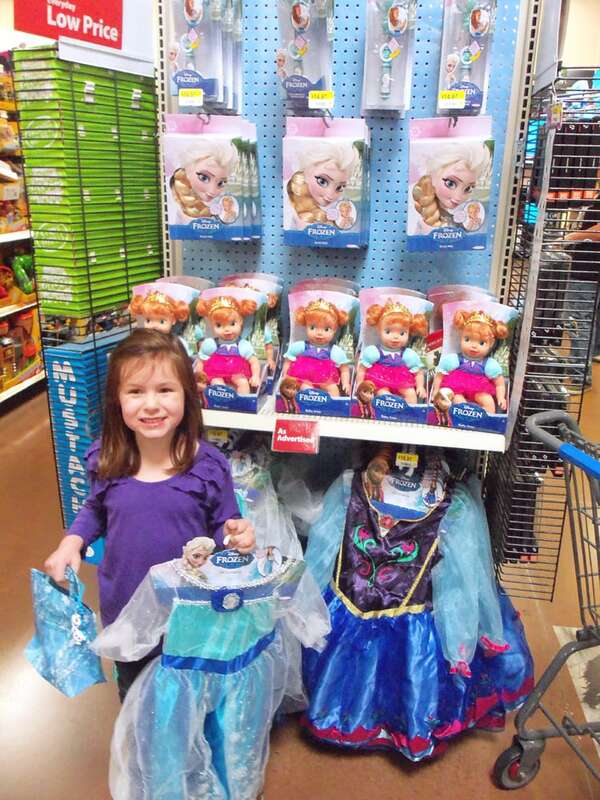 After watching the movie, I took Audrey to the store to buy some FROZEN toys! Audrey was so excited when I told her that we were going to Walmart to buy toys for her! 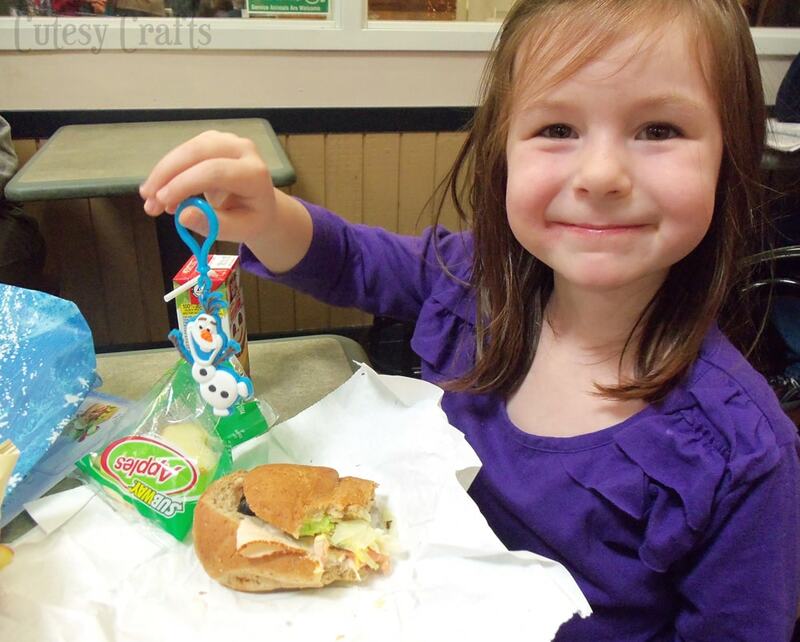 First we stopped at the Walmart Subway to get some lunch. 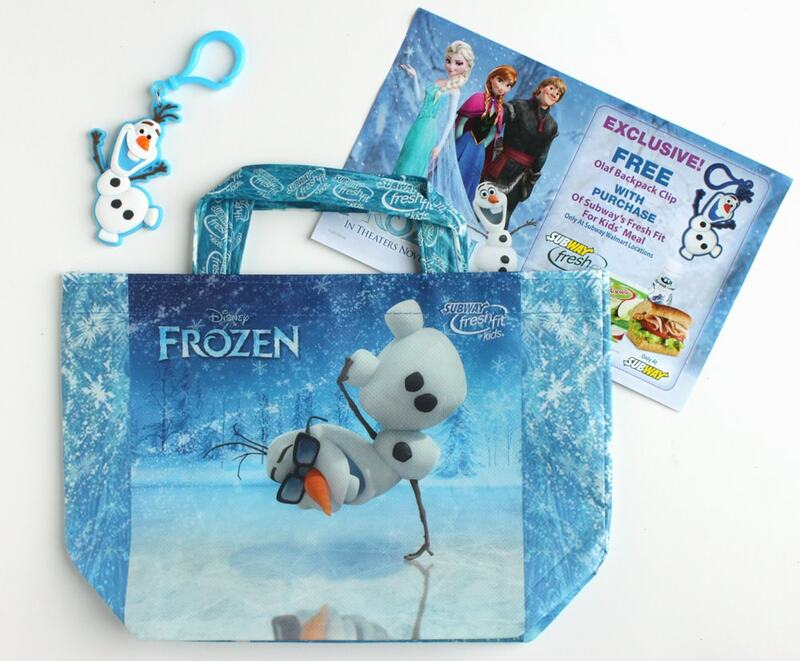 Right now, you can get a free FROZEN backpack clip when you buy a Fresh Fit for Kids Meal at participating Subway restaurants. The meal also came in a FROZEN-themed reusable bag. She loved toting the bag around the store and used it to carry her toys in when we got home. Then it was time for toys! 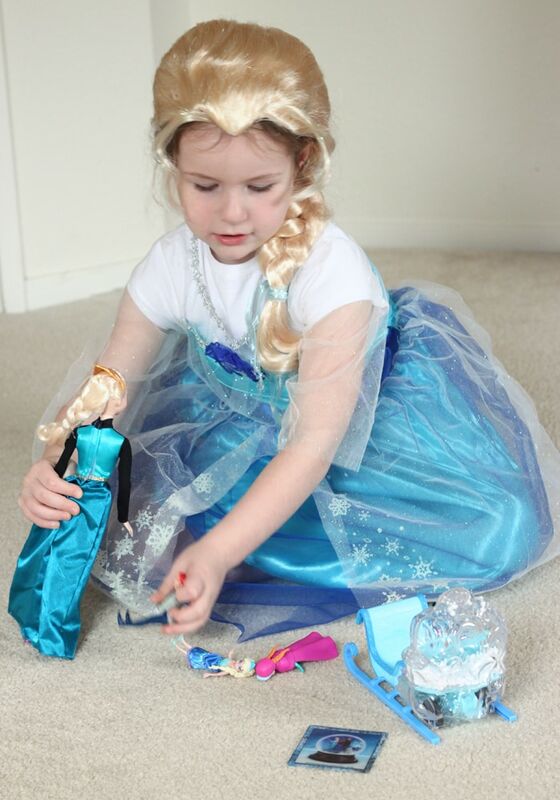 Audrey is always dressing up, so of course she wanted an Elsa dress the minute she saw it. We also went home with a story set and a really cool sled. The kids love pushing it around and watching the “snow” blow around in the back. 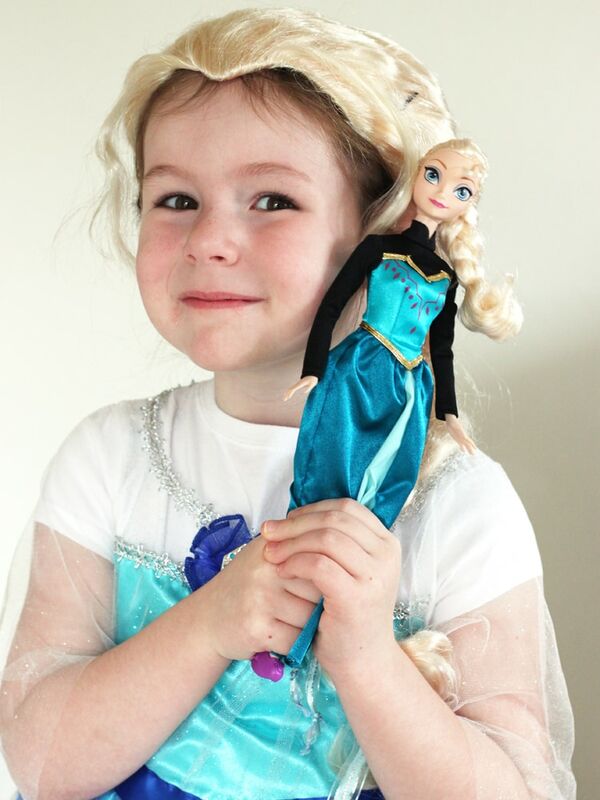 And how neat is this Elsa doll?! You fill up the wand with water, rub it on her dress, and a pretty design appears. The crowning gems were the awesome dress up clothes that we brought home. The pretty dress AND a great wig! Audrey looks just like Elsa right? Haha! She loves it! 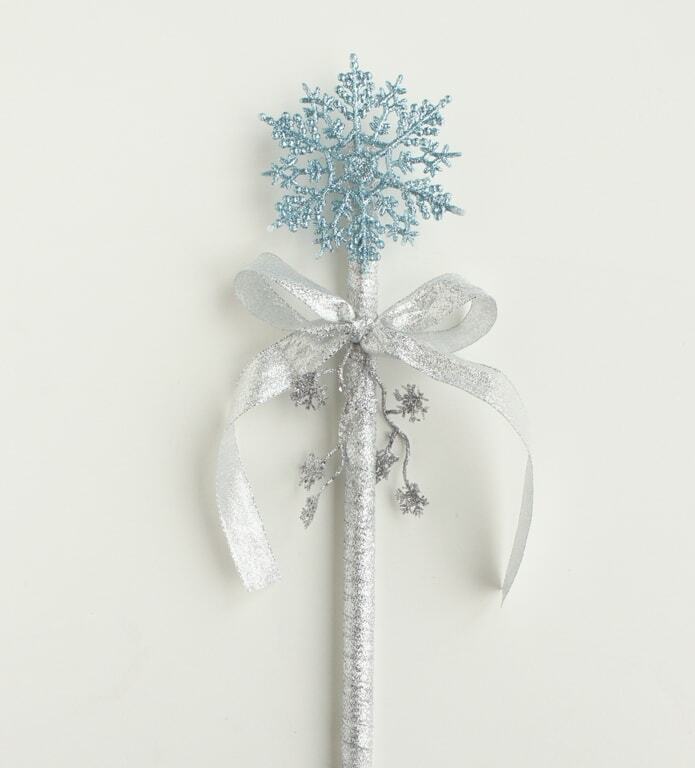 To go along with Audrey’s new dress up clothes, I made a pretty snowflake wand. 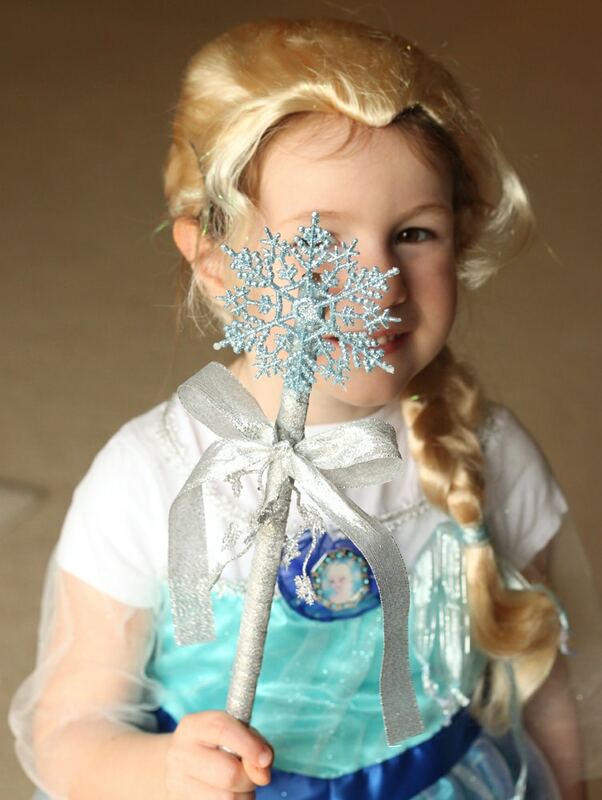 Elsa didn’t really have a wand in the movie, but Audrey had a great time pretending to freeze things with it! It was really easy to make. 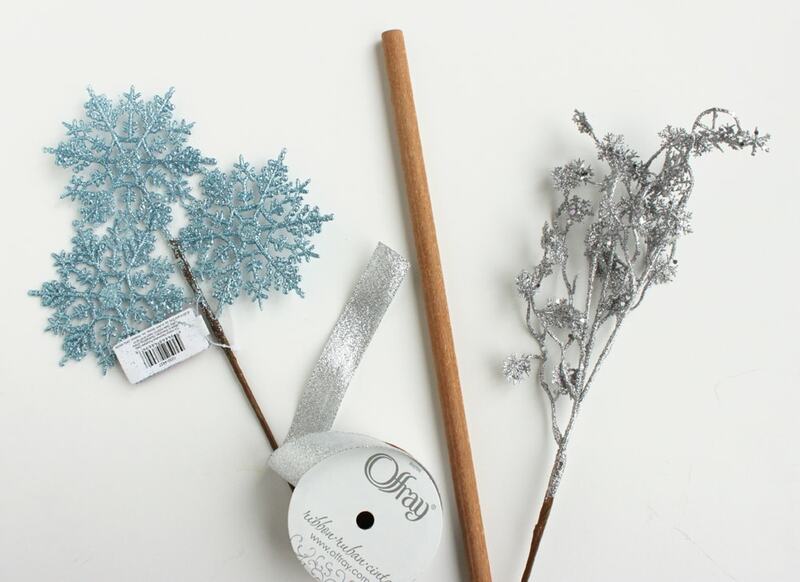 I just used a wooden dowel, some sparkly ribbon, and these glittery snowflakes from the floral section of the craft store. Cut your dowel to size. 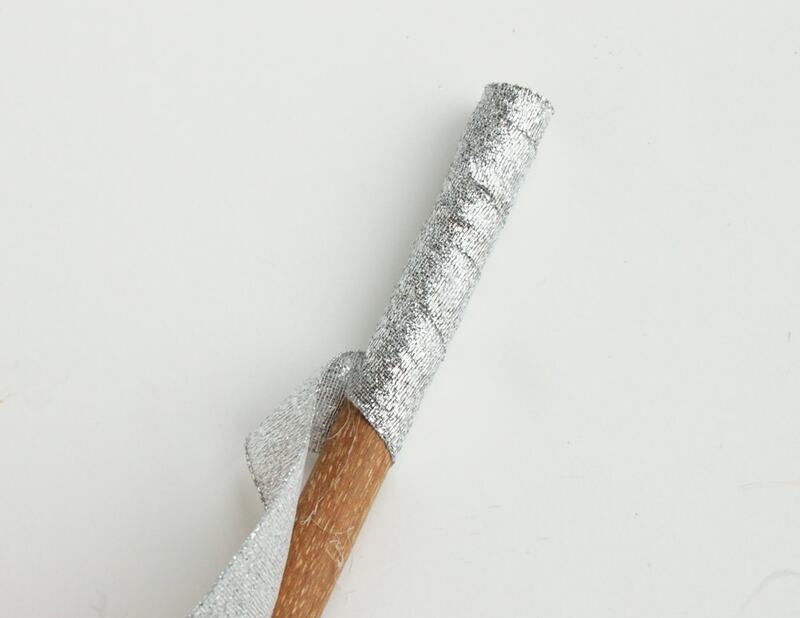 Wrap the ribbon around the dowel, securing with a hot glue gun as you go. 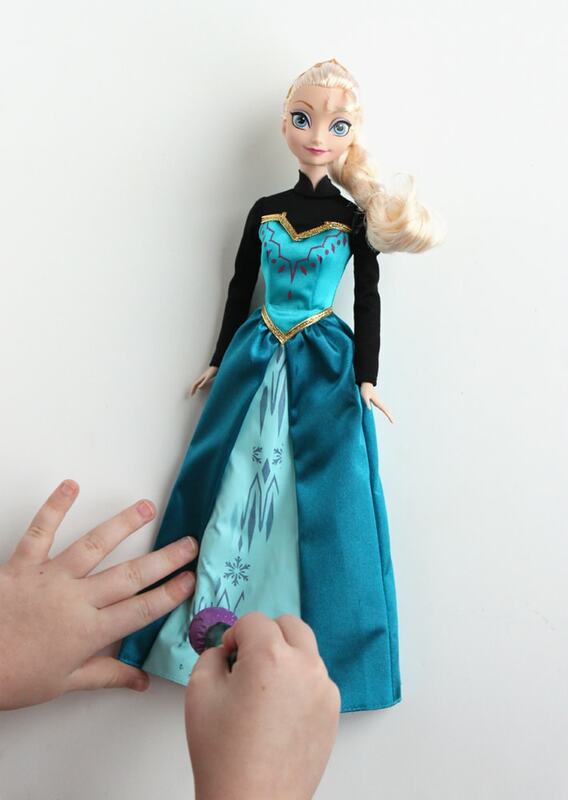 Then you just need to snip off some snowflakes, glue them to the wand, and tie a pretty ribbon around it. So fun! My kids didn’t play with any other toys for three days straight! They loved acting out the scenes and making up new ones. I love when they use their imaginations like that! 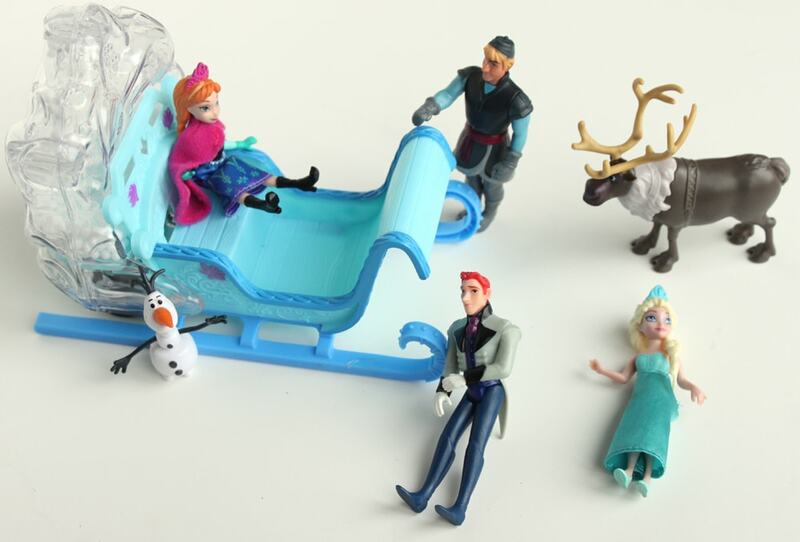 For more FROZEN fun, join the #FrozenFun Twitter Party 12/20 at 1:00 pm ET. 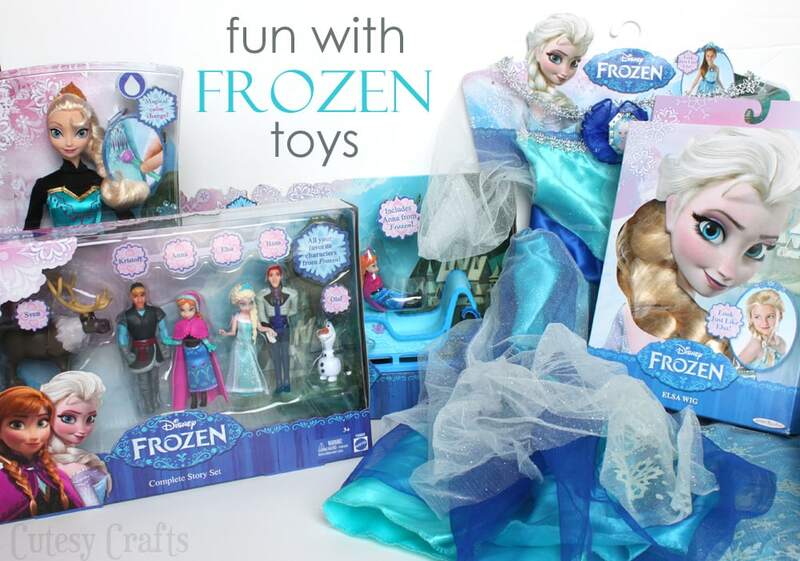 You can win some really great FROZEN prizes! Go here to RSVP and see the rules. 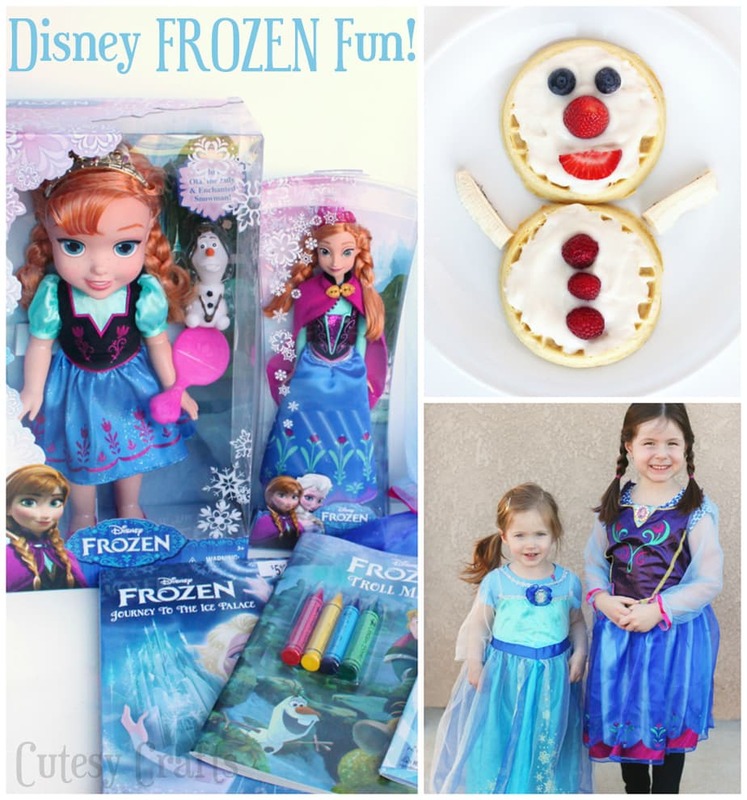 Check out this other FROZEN fun post! Pinning this NOW!! Disney’s Frozen on Ice is coming to my area this winter and I’m thinking this will be the perfect accessory for Jo to bring!! 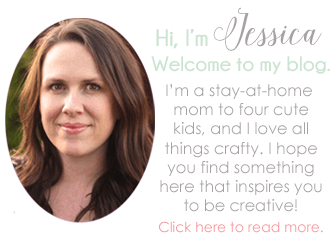 Thanks for the tutorial Jessica, I love it! Hi. I’m having so much trouble finding snowflake accents in June! Any suggestions? Yeah, that’s a tough one. You’ll probably have to find something to buy on the internet.